If you’re looking for driving schools in Farnley that provide hardworking instructors and great results, Online School of Motoring will meet your requirements. OSM is a family run driving school that understands all concerns with learning to drive. With over 10 years of experience, we know how to fit our services to suit our students needs. Our instructors aim to make all new learners feel comfortable and confident; as well as keeping to a pace that suits them. Here at OSM we never rush our learners as we know that to achieve the best you have to work at a suitable speed. When you come to our Farnley driving schools, we assure that you will receive the best care. We will always put our students first and work to a schedule to suit them, we will even provide lessons outside of sociable hours. No matter what speed you learn at, our instructors are patient and understanding to make sure that you get the most out of each lesson. 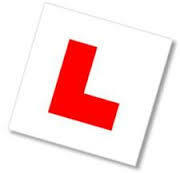 All of our lessons meet the National Standard for driving cars (category B). To help new drivers to relax and grow confident, the first lesson is aimed to let student and instructor to get to know each other. Our instructors will make sure that new learners know the safety on the roads and are relaxed and ready to drive. Our learners will never be rushed and our instructors will always go the extra mile to ensure that every new driver feels safe on the roads. With over 10 years experience, OSM and our instructors have the experience that we need to make every new driver safe on the roads. We understand how each individual is different and learns in a different way and we can tailor our lessons to meet the highest standard. No matter the way that you learn, we can help. With our extra tuition and one to ones, we ensure that each student gets the right attention and care to help them pass their driving test first time. All of our learners will have their lessons in a fully serviced and insured Ford Fiesta. With a small body and responsible controls, this car is easy to maneuver and great for new drivers. All of our cars are diesel engines and are a lot more flexible when it comes to making mistakes. The Ford Fiesta is one of the most reliable small cars and are perfect for new drivers who need a reliable car. All of our instructors are fully qualified and offer a professional service. They aim to provide our learners with the most informative lessons and help wherever they can. Why not read our testimonials and read what past students have said. For your first lesson at OSM driving schools Farnley at half price, call 0798 965 2388 or complete the FREE QUOTE form below.